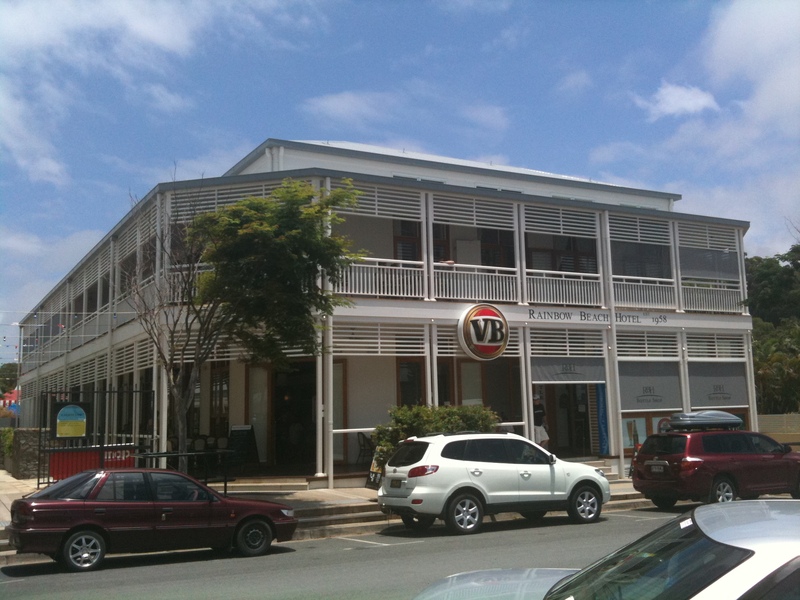 The Rainbow Beach Hotel (RBH) http://www.rainbowhotel.com.au/RainbowBeachHotel/home.html is a is nothing less than an exceptional reproduction example of Colional Style Queensland Pub. The developers have included all the finer details in the fittout including pressed metal ceilings, VJ walls and polished timber floors. In such an iconical place it is best to go back to and sample traditional ales. 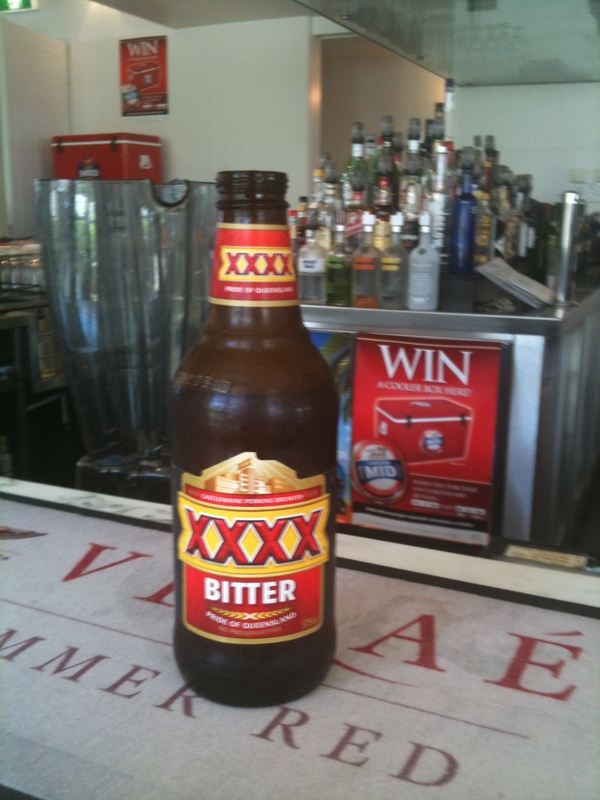 BotF has reviewed a number of Castlemaine Perkins brews but we lack review the original and many would say the best CP has prod”XXXX Bitter” http://www.xxxxbitter.com.au/info/ . This is gutsy beer best served icy cold, slammed down hard and is not for the feint of heart. 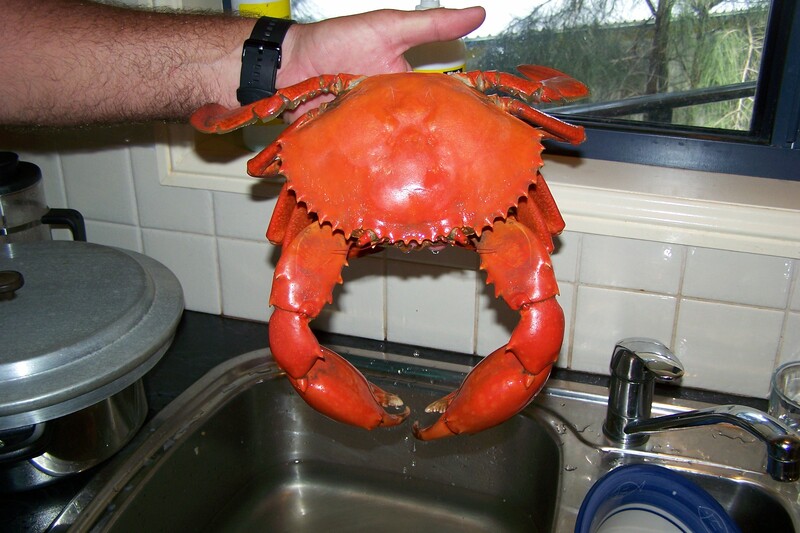 It is the perfect compliment to Queensland Mud Crab which has been chilled for 24 hours after boiling in salt water for approximately 12 minutes. Brilliant looking pub. Can’t believe the VB logo taking central position – really should be XXXX – but that’s a minor quibble. BotF Bar Review Map will be updated accordingly. Great to get a Queensland pub in there.